Date: Wednesday, 21st September 1988. Scorers: Leeds United: Davison, Hilaire. Barnsley: Nil. 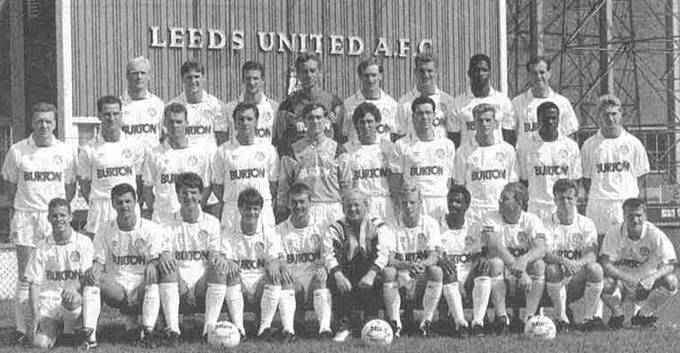 Leeds United: Day; G. Williams, Adams; Aizlewood (Haddock), Blake, Ashurst; Batty, Sheridan, Baird, Davison, Hilaire. 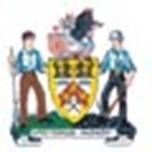 Barnsley: Baker; Joyce, Beresford; Thomas, Shotton, Futcher; Lowndes, Agnew, Cooper, Currie, Dobbin. In September of 1988 Allan Clarke was going strong as team boss of Barnsley and Billy Bremner was in the management chair at Leeds United, so when the two former Elland Road stars met head on in a managerial clash interest was especially high. The fixture had added spice but having failed to win in four previous games, the pressure was very much on United. However, in typically forthright manner, Bremner had insisted before the game that his players were full of confidence and in the mood to get their season off the launch pad. He got the response he needed from his players, who turned in a much more positive performance that brought them the just reward of a 2-0 victory over the Tykes. There were too many scares in the game for United for this to be a completely satisfying display but it was a further improvement in form with more scoring opportunities created than in previous displays. 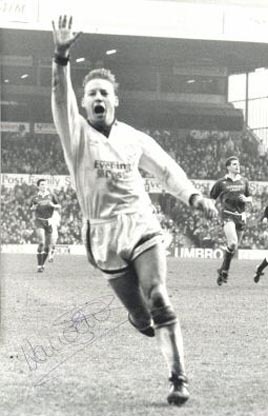 Goals from Bobby Davison, after sixty-two minutes, and effervescent winger Vince Hilaire, were responsible for United’s first three point haul of the season and in giving Clarke his first taste of defeat in five return visits to Elland Road as a manager since his sacking as United boss in 1982. On three earlier return visits for League games, Clarke had seen his Barnsley side embarrass United by winning twice and drawing the on the other occasion. Even when he was manager of Fourth Division Scunthorpe United in 1984, Clarke managed to plot United’s FA Cup downfall as his side drew 1-1 in a Fourth Round tie at Elland Road and again after the same result at Scunthorpe, his side won the second replay 4-2. “It’s not a bad record for any manager to have but the time had come to change it,” United goal-scorer Bobby Davison said. It was a safe bet that Davison would not place his scrambled header against Barnsley too high on his list of goals, but he could rarely have scored a timelier one. With John Sheridan’s midfield skills, David Batty’s non-stop running, the wing trickery of Vince Hilaire and the determination of full-backs Gary Williams and Micky Adams to pump balls into the Barnsley penalty area, United put their South Yorkshire neighbours under a lot of first-half pressure. As in previous games, though, United could not turn this advantage into goals. 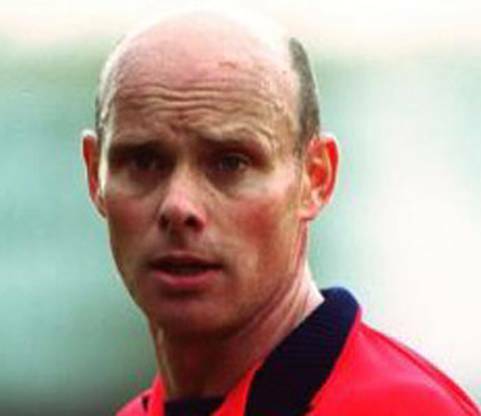 Davison, Noel Blake and Ian Baird, twice, all got into good positions which could have produced goals and in addition Davison had a header which hit the bar. Barnsley had been far from idle in front of goal and David Currie and Steve Cooper gave the United defence plenty to think about. 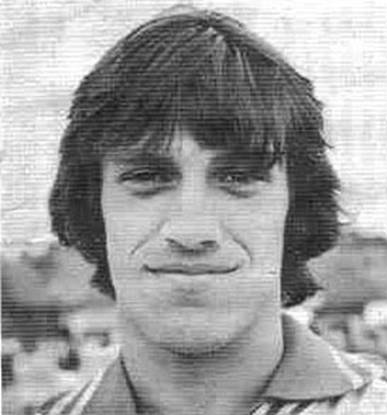 When Bobby Davison broke through for United in the sixty-second minute it was the first time in the season that United had been ahead in a game. The goal stemmed from teenage midfielder David Batty’s low shot which bounced up off a defender to leave Davison with the chance to open his account for the season. 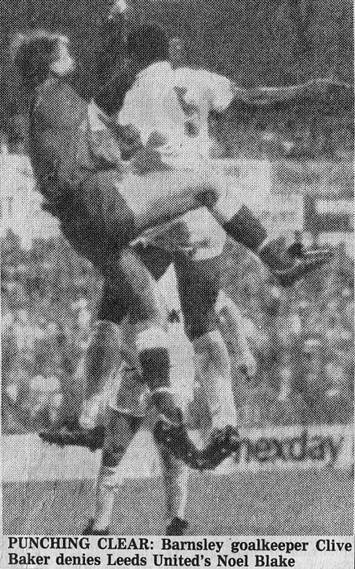 It was not until three minutes from the end, however, that United could feel comfortable, when Vince Hilaire coolly beat two defenders to hit the ball in, after Batty and Sheridan had combined to begin the move. 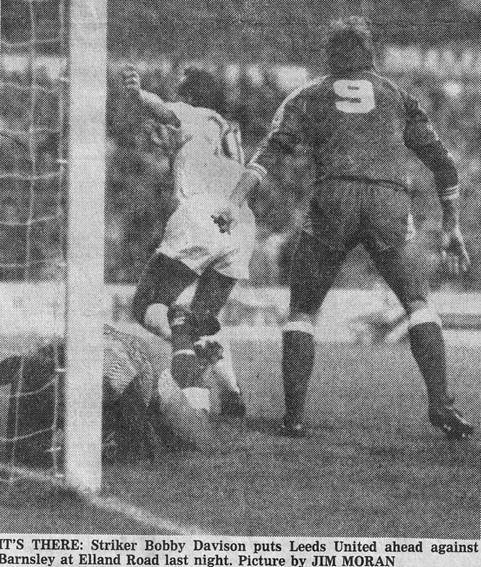 YEP: A masterly worked goal three minutes from the end by Vince Hilaire finally confirmed that Leeds United had finally won their first match of that season. It rounded off one of the classic derby thrillers of recent times at Elland Road in which control had swung from side to side until Leeds broke the deadlock just after the hour. Leeds’ victory ended Barnsley’s unbeaten run this time and gave their Manager Allan Clarke his first taste of defeat at the ground in five visits as a Manager since his dismissal as the Leeds chief six years previous. But both sides had got the drawing habit that season and it looked unlikely that with so little light between them that a winner could be found this time. In fact you could almost taste the relief among the Leeds support in the 17,370 crowd when Bobby Davison finally inched Leeds ahead in the sixty-third minute. Leeds had made a fiery opening to the game with some determined and hard running but it was a long downfield punt from Barnsley goalkeeper Clive Baker that brought the first chance, David Currie pumping three shots at the Leeds goal, his final effort turned for a corner from close in by Jack Ashurst. After that Barnsley enjoyed the best of it for a long spell with David Currie and Steve Cooper stretching the Leeds defence time and again. 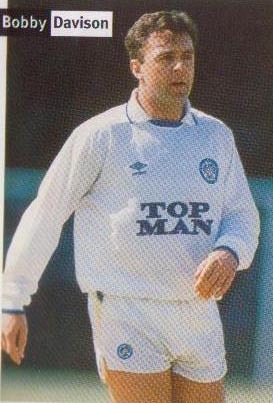 But once John Sheridan stepped up a gear Leeds looked a dufferent side . 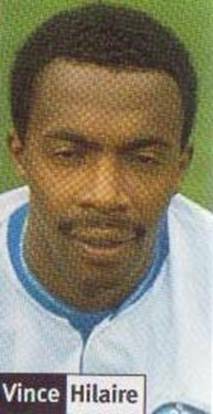 Vince Hilaire came more and more into the action and two right wing runs just after the half-hour opened up alarming holes at the back for Barnsley, but Bobby Davison, Ian Baird and Noel Blake just failed to stretch far enough to make contact with the centres. Davison had a header which struck the top of the Barnsley bar as the game buzzed and snapped along and when Mark Aizlewood went off with an ankle injury, Leeds introduced Peter Haddock into their midfield. 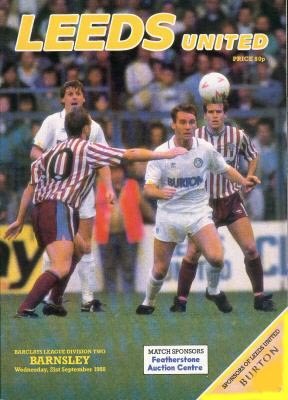 Gradually Leeds were looking better and better but the game could have swiveled Barnsley’s way in the second minute of the second half when Mervyn Day did well to get a hand on David Currie’s cross-shot but Steve Cooper was not able to turn the bouncing ball into the open net. 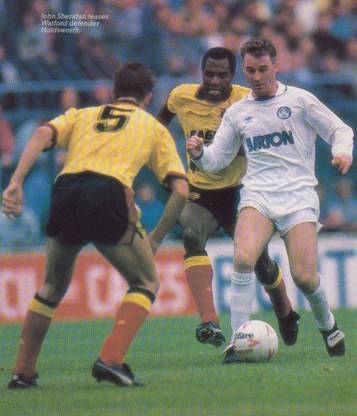 Both Malcolm Shotton and John Beresford were booked trying to stop the elusive Vince Hilaire and it was from the Beresford caution that Leeds manufactured their opener. Peter Haddock’s free-kick from near the half-way line was not cleared and Vince Hilaire did well to win the ball in the penalty area and roll it back to the waiting David Batty. The young midfielder struck a firm low shot from sixteen yards into a mass of bodies near the Barnsley line and Bobby Davison was quick enough to head on the cannon for his first goal of the campaign and Leeds’ first taste of the lead that season. With Batty and Sheridan now bossing the midfield it looked as though Leeds would go on from there but Barnsley immediately hit back and Leeds had Mervyn Day to thank for keeping them ahead. First the keeper was fast off his line to cut down the angles and stop David Currie’s fierce eighteen yard drive and then when Currie had put John Beresford in the clear, Day at full stretch just got enough finger-tip on the ball to turn it around his left hand post as Steve Cooper rushed in for the kill. But after that Leeds turned the screw. 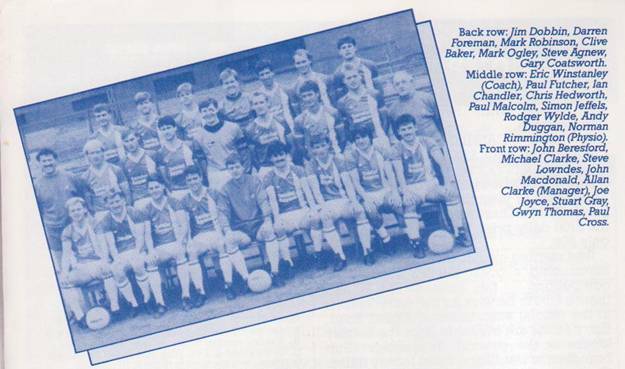 Bobby Davison might have had a hat-trick, going close from opportunities set up by John Sheridan and Gary Williams and when Davison turned provider, Ian Baird headed over from the six-yard line. 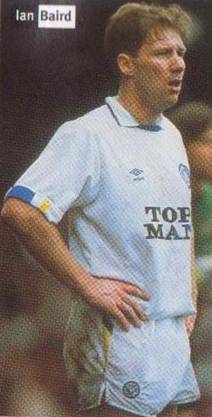 But in the eighty-seventh minute Leeds broke from the centre circle with Peter Haddock giving John Sheridan time to send David Batty away down the inside-right slot. The youngster fed Vince Hilaire who turned his man well fourteen yards out and stroked in a low shot to underline Leeds’ pressure. Even then there was time for Barnsley to respond and David Currie, a danger man all night, flashed a low cross shot from the left which Steve Lowndes would have turned in at the far post but for a determined challenge from Micky Adams. That challenge in the last seconds emphasized the effort that both sides had poured into a mighty clash. Hoodoo Ended: Leeds’ first win of the season eased the pressure on Manager Billy Bremner and finally destroyed a six year hoodoo cast by his old pal Allan Clarke. Barnsley boss Clarke had not lost in seven previous visits to Elland Road since being sacked by Leeds in 1982. But the night turned sour for him as Bobby Davison and Vince Hilaire wrecked Barnsley’s unbeaten record. Barnsley keeper Clive Baker was still groggy from a challenge by Noel Blake when he pushed over David Batty’s shot and Davison pounced. Hilaire wrapped it up in the eighty-seventh minute. Gary Williams, Bob Taylor, Peter Maguire, Kevin Noteman, Peter Mumby. Billy Bremner (Manager), David Batty, Vince Hilaire, Ian Baird, John Stiles, Vince Brockie.